We are your local washer repair experts - HIGHLY RATED! A broken washer means disaster in most homes. We are your best option for fast and professional washer repair, installation and maintenance. Whether your washer is leaking, won’t start or smells bad, our home appliance repair technicians are guaranteed to fix any problem you might have. 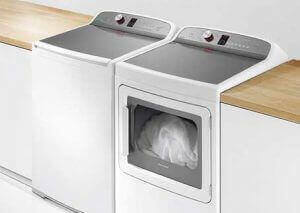 Our technicians are highly trained and licensed to do repairs on any brand of washer. If it’s an emergency, we can make same day appointment if necessary and be in your house fixing you appliance right away. We try to make washer repair experience as fast and as easy as possible. We are experts on all brands of washers. Our licensed technicians are factory trained and certified to do kitchen appliance repair. That includes brands such as Asko, Avanti, Bosch, Certified Appliance, Curtis, Dacor, Danby, Electrolux, Fisher & Paykel, Frigidare, GE, LG, Kenmore, KitchenAid, Maytag, Miele, Samsung, Siemens, Speed Queen and Whirlpool washers and dryers as well as many others brands. Whether your washer is front load, top load, twin load or portable we can help you get your washer working again. Rest assured that after an appointment with us, your washer will be fully functional. Our prices are very reasonable as well. We will try to save you money on parts and labor so that fixing your washer will be much cheaper than buying a new one. And the result will be the same. The perfectly functioning washer that you can use for many years to come without any problems. 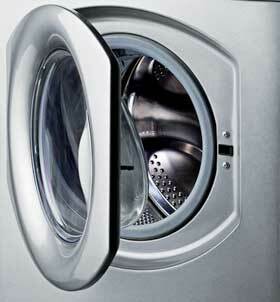 Top Home Appliance Repair has many years of experience of appliance repair including washer and dryer repair. We are a family owned and operated business. Our service area includes Los Angeles, Ventura County, and East Bay. We do both residential appliance repair as well as commercial appliance repair. That includes commercial kitchen repair for any restaurant, cafeteria, careering business and much more. We repair all major home appliances such as refrigerators, dishwashers, stoves and ranges, washers and dryers, ovens, steam ovens, microwaves, freezers, ice makers, barbecues, pizza ovens, patio heaters and many other services. Our many years of appliance repair experience makes us perfectly suited to do washer repair for you. And our excellent customer service will make it a fast and easy experience. People who work for us always try to be polite, helpful and precise. We repair all brands and models of appliances. For example Asko, Bertazonni, Bosch, Dacor, DCS, Electrolux, Fisher&Paykel, Frigidaire, GE, Jenn-Air, KitchenAid, La Cornue, LG, Liebherr, Marvel, Miele, Perlick, Samsung, Siemens, Sub-Zero, Thermador, Traulsen, True, Viking, Whirlpool, Wolf. Once you give us a call or contact us via our short contact form, we will get back to you right away. We will ask you some questions and give you an estimate of how much the work would cost. Then we will arrange an appointment with you. Once our technician is at your house, he will get to work right away trying to diagnose what is wrong with your appliance. He will discuss with you what his plan of action will be. He will replace the parts and clean out and fix anything broken. We usually carry all the necessary parts with us. But if something needs to be ordered, we will be more than happy to order it for you. We will try to get you the best price on parts and order them promptly. Your time is valuable to us. We can quickly fix any of those issues. After the job is done, we will hook up your washer and test it out. We always make sure your equipment is safe to use. 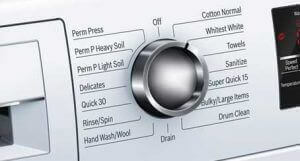 We will also give you tips on how to best maintain your washer so that it can last you for many years. Why pick us to do washer repair for you? We simply have the most experience of all the companies out there. 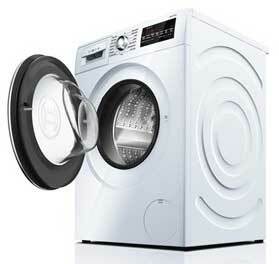 Also, our technicians are factory trained and authorized to repair most of the brands of washer and dryers. You can trust them with any repair task. We also make sure that they are friendly and helpful with you. We strive to make washer repair experience easy and fast for you. And the final result is of course perfectly functioning washer. Alameda County, Alameda, Berkley, Dublin, Hayward, Livermore, Oakland, Piedmont, Pleasanton, San Leandro, Contra Costa County, Antioch, Brentwood, Clayton, Contra Costa, Concord, Danville, Discovery Bay, East Bay, Lafayette, Oakley, Orinda, Pittsburg, San Ramon, Walnut Creek, Santa Clara County, Sunnyvale and surrounding areas. When my washing machine broke, I was pretty put out. I thought it would be a great hassle and would cost me an arm and a leg to fix. Thankfully I was wrong. All it took was a call to Top Home Appliance Repair and my problem was solved fast. They immediately gave me an appointment. The repair guy was at my house the same day. They are not kidding about customer service. John was super nice guy and he knew exactly what he was doing. Less than half an hour later my washing machine was working again. He even waited for another 20 minutes to make sure that everything was working perfectly. They price I was quoted was way under what I expected. I feel pretty confident that my washing machine has another couple of years of problem free existence ahead of it. I can totally vouch for great service and expertise that Top Home Appliance Repair provides! We do professional home appliance repair services. We specialize in washer repair, instillation and maintenance. Our technicians are trained and certified to fix any model or brand of washing machine.